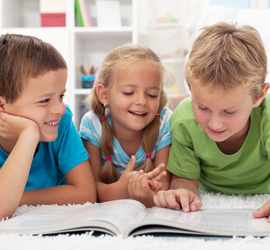 Children love to hear (or read) about themselves. Now you can do something you love and get paid for it with a part time business from home. 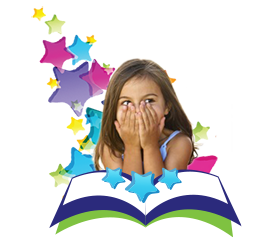 Create-a-Book® magically weaves personal details into any one of a variety of titles, making the child (or adult) the star of their very own story. The books are professionally bound in a quality, wipeable hardcover, including 18 full colour illustrations. All books feature the child’s (or adult’s) name, age, friends’ names and home town throughout the story. If you’ve ever witnessed the joy on the face of a child when they realise they are the main character of their very own story, you’ll understand why Create-a-Book® has been so successful worldwide. In all the years we’ve owned Create-A-Book® in South Africa we have NEVER tired of seeing the happiness we bring whenever one of our storybooks is sold or given to someone as a gift. Create-A-Book® SA has a national dealership network, we are able to distribute our books countrywide by putting you in touch with a Dealer near you to print and make up the book. In the event that there is no dealer in your immediate vicinity, then your book can be made up by a Dealer closest to you, and delivered by arrangement with the Dealer directly. A Create-a-Book® business is ideal for anyone wanting to work from home, when they choose to and determine their own income. Basic knowledge of a computer is all that is needed to produce Create-a-Book® personalised products. Once you have purchased a Create-A-Book® license, all you need is a PC or laptop and a printer. Besides this you will receive EVERYTHING you need in your start-up package to get your business started, including start-up stock. As a Create-a-Book® Dealer You will be provided with a Marketing and Sales folder to assist you in selling to individuals, companies, hospitals, crèches, schools … the list is endless. In fact, you will find that these books are so unique that they practically sell themselves. All books feature the child’s (or adult’s) name, age, friends’ names and home town throughout the story. A Create-a-Book business is ideal for anyone wanting to work from home, when they choose to and determine their own income. Basic knowledge of a computer is all that is needed to produce Create-a-Book personalised products. Once you have purchased a Create-A-Book license, all you need is a PC or laptop and a printer. Besides this you will receive EVERYTHING you need in your start-up package to get your business started, including start-up stock. As a Create-a-Book Dealer You will be provided with a Marketing and Sales folder to assist you in selling to individuals, companies, hospitals, crèches, schools … the list is endless. In fact, you will find that these books are so unique that they practically sell themselves. Create-a-Book magically weaves personal details into any one of a variety of titles, making the child (or adult) the star of their very own story. All books feature the child’s (or adult’s) name, age, friends’ names and home town throughout the story. A Create-a-Book® business is ideal for anyone wanting to work from home and determine their own income, while at the same time bringing smiles to little faces.